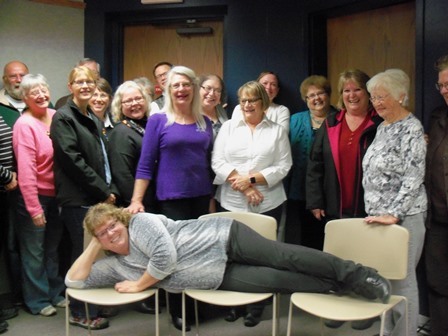 Brenda Donelan (laying down in picture) spoke at the Heritage and History Book Club on Tuesday, Oct. 27. She discussed her new book "Murder to Go". “Murder to Go” is the third book in Brenda’s University Mystery series, and this was her third time talking to the History and Heritage Book Club. Brenda grew up in Stanley Country, still home to her parents Larry and Patty Donelan. Brenda draws on her experiences as a college professor and probation officer when writing.